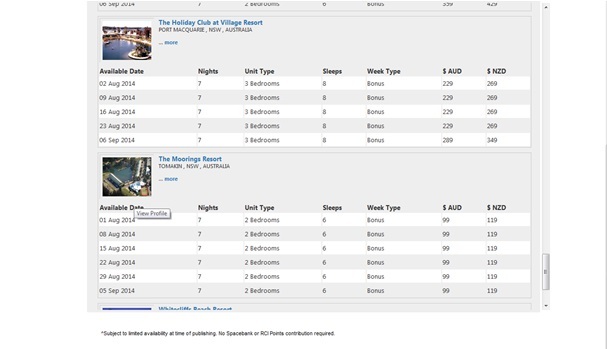 For my last RCI module I am going to share with you some awesome extras WorldMark South Pacific Club Owners also have access to; which you may not have known about. The first one is RCI Bonus Weeks!!! These are ridiculously cheap CASH weeks (no credits needed) which come from RCI’s surplus inventory. Traditionally Bonus Weeks are available within 45 days of travel and prices start from as low as AU$199 for an entire week. Which is amazingly cheap for a full week of accommodation and best thing is there is no housekeeping involved either! When you’ve already booked your credits for that trip to Fiji (or Port Douglas or Shoal Bay or any of your beautiful properties) Bonus Weeks are a great way to keep you taking holidays. To find available bonus weeks go to this website: http://rcipacific.com.au/bonusweek/. If you want to book them just give RCI a call. Another fantastic benefit Privileges members receive is access to the Split Week/Nightly Stays with RCI. As we have discussed in previous blogs, normally you would have to book a full 7 nights with RCI as that is how their inventory is deposited. A split week simply means you can book less than a week at selected properties – there are around 600 properties you can do this at. The best thing is you are not charged for a full week of credits, or a full week’s exchange fee, rather they are split into a nightly amount as you can see below. This is a great way to get more flexibility out of RCI. To find these properties you can give RCI a call; or you can search for less than 7 nights on RCI’s website. The last little bit of RCI wisdom I wish to impart is in regards to RCI Rentals. RCI will sometimes purchase accommodation availability from a resort, then sell this onto their members for a CASH price. 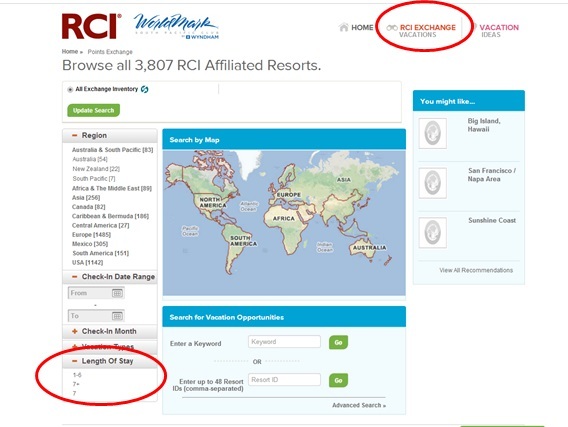 It’s great because it gives you added availability and resorts with RCI. If you are a Privileges member you can also use your credits to purchase these additional rental weeks. 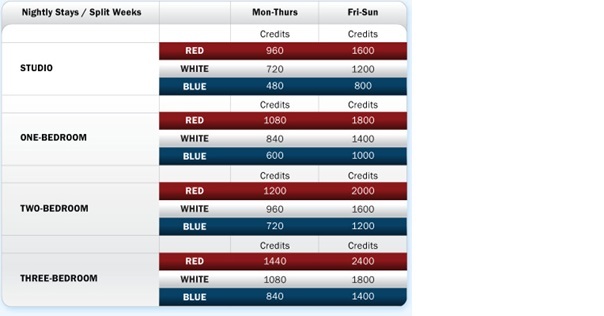 Something to be aware of if you are using credits to book these, is that they are generally more credits than a usual exchange week with RCI. The best way to book RCI Rental properties is to contact RCI directly on 1300737667. To learn more about RCI or your WorldMark South Pacific Club, go to http://www.worldmarksp.com/education. ← 3 Common Excuses Not to Take a Holiday – and how to beat them! !